In order to prevent employee theft, some employers require their employees to undergo security screenings before leaving the employers’ facilities. That is particularly so with employers involved in manufacturing and retail sales, who must be concerned with valuable merchandise being removed in bags, purses or jacket pockets. Often in the context of high-stakes class actions and collective actions, parties have litigated whether time spent undergoing a security screening must be compensated under the Fair Labor Standards Act (“FLSA”). On December 9, 2014, a unanimous United States Supreme Court answered that question – no. The Court’s decision in Integrity Staffing Solutions v. Busk may have a far-reaching practical and legal impact. Not only may it make more employers comfortable conducting security screenings of their employees, but it may bring an end to most class actions and collective actions filed against employers seeking compensation for employees’ time spent in such screenings. The employees at issue in Integrity Staffing were employed to retrieved products and package them for delivery to Amazon customers. Several former employees filed a putative class action lawsuit, contending that they were entitled to be paid for the time spent undergoing security screenings before leaving the warehouse, which they estimated took 25 minutes a day. The United States District Court in Nevada dismissed the lawsuit, holding that the time spent in screenings was postliminary, noncompensable time as it was not integral and indispensable to the employees’ principal activities. The Ninth Circuit Court of Appeal reversed that decision, concluding that activities that might normally be considered postliminary and noncompensable become compensable if they are required and performed for the employer’s benefit. The Supreme Court granted certiorari. And, reversing the Ninth Circuit’s opinion, it has concluded that time spent in security screenings by Integrity Staffing employees is not compensable under the FLSA. In reaching its conclusion that security screenings are noncompensable postliminary activities, the Court first found that the screenings were not the employees’ “principal activities” – Integrity Staffing had not hired them to undergo security screenings. And they also were not “integral and indispensable” to the employees’ work as warehouse workers as the employees could do their jobs – retrieving packages – without such screenings. There can be no question that Integrity Staffing is a significant victory for employers. 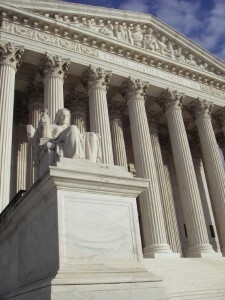 While there could conceivably be individuals who are employed in positions whereby security screenings could be considered to be an “integral and indispensable” part of their jobs and therefore must be paid for them – such as the persons who conduct the screenings – the Supreme Court’s decision should have far-ranging practical implications. Excepting for unusual circumstances, employers who require employees to undergo security screenings can feel more comfortable than ever that such time is not compensable and that their practices are less likely to be challenged than before. Those employers who have refrained from requiring employees to undergo such security screenings because of their concern that they may have to pay for such time should also feel more comfortable implementing such screenings. But employers should nevertheless proceed with caution, particularly if their screenings result in employees waiting significant amounts of time. The Supreme Court’s near-final words should not be ignored: “These arguments are properly presented to the employer at the bargaining table, not a court in an FLSA action.” (Citations omitted.) Requiring employees to wait significant amounts of time for security screening could trigger union organizing efforts or, in unionized workforces, demands to be paid for such time.